The Winchester brothers are heading to the nation’s capital for one spectacular SUPERNATURAL weekend! This is YOUR chance to have fun with the stars of the hit CW show for three full days of excitement, music and lively conversation with fellow fans. 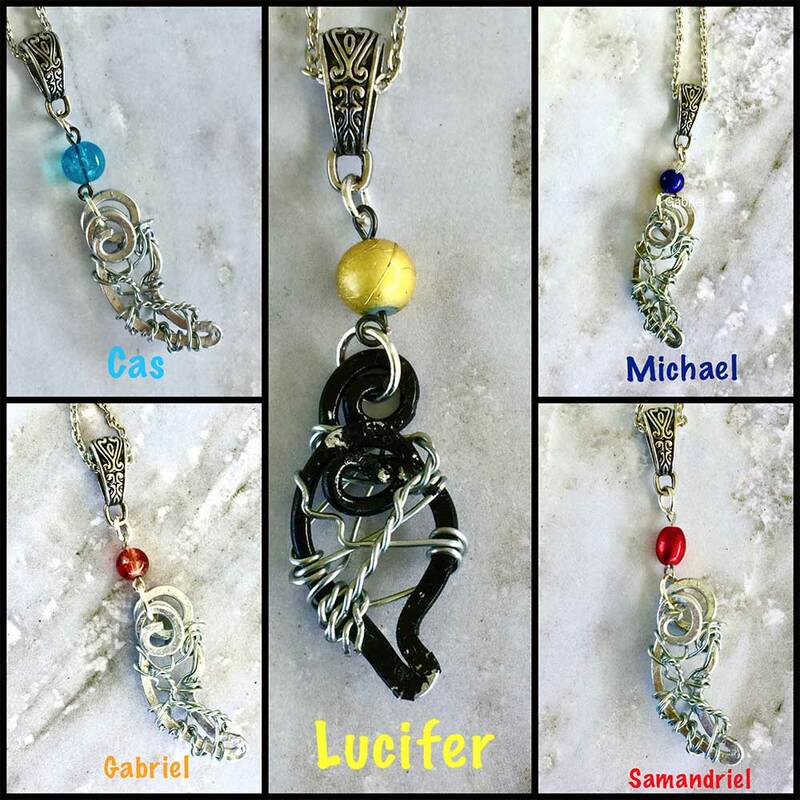 You’ll be able to see with the Winchester bros, Jensen Ackles & Jared Padalecki, along with their angel Castiel, aka Misha Collins, and many other stars from the show. No doubt they’ll keep away the monsters, demons or other things supernatural, so you can just sit back and have a memorable SPN experience! 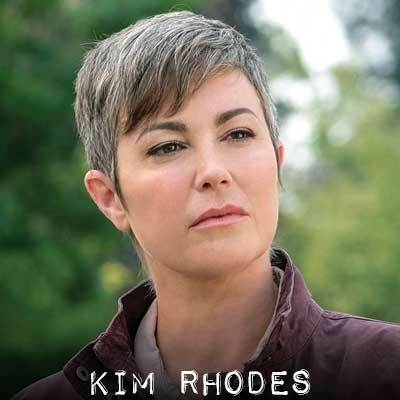 Now in its epic 14th season, Supernatural is North America’s longest running genre series, and we’re saluting the series and stars who have meant so much to us through the years. The cast of Supernatural has also done so much for so many through its supportive and charitable nature, and together, we’ve all raised the bar of the typical fan convention and turned this event into something truly special. PLEASE NOTE: As much as we love providing our Supernatural fans with fabulous multiple shows during the year, we won’t be hosting as many conventions in 2019 as we have in previous years. 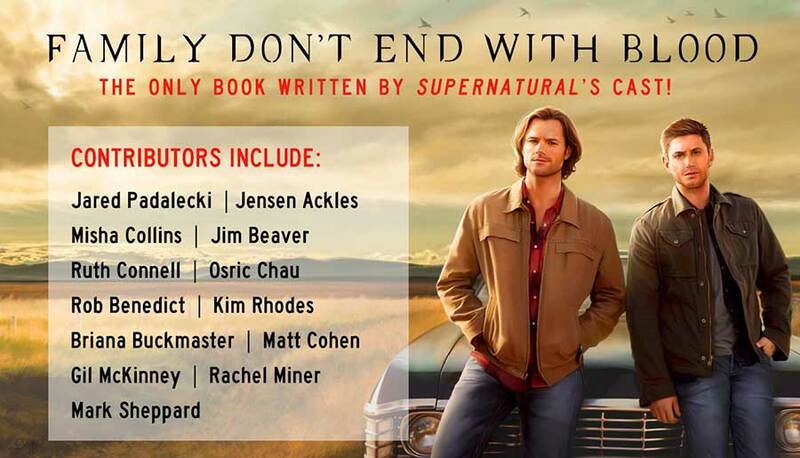 There will be far fewer choices in 2019, and you DON’T WANT MISS OUT on your chance to see all the awesome Supernatural stars like Jensen & Jared and Misha! If you can’t make any of the conventions we have listed so far, make sure to sign up for our email to keep you updated on the upcoming SPN shows! We’re jazzed about all the cool stuff we have planned with the Supernatural stars, so make sure to scroll down or click on the tabs above to get ALL the details! NOTE: In general, questions for our celebrities are taken from the audience at microphones in the front of the audience area. Yelling questions from the audience is disruptive, rude to everyone present and may result in being asked to leave the theatre and convention. We ask that everyone respect their fellow attendees. Rob Benedict is the songwriter/singer and is joined by equally talented members of the group Billy Moran, Mike Borja and Stephen Norton. Louden Swain is our house band throughout the weekend and anchor of the Saturday Night Special. Our house band all four days. 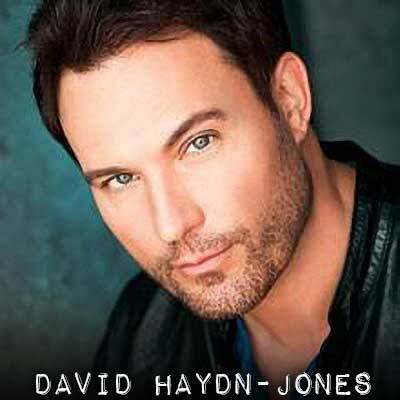 The always entertaining David Haydn-Jones will be hosting an intimate sit-down dinner with 10 lucky fans – an evening that will surely be filled with laughs and great conversation. The meal and soft drinks will be included. This will take place on SATURDAY, and you will meet him in the lobby for a short walk to the restaurant of his choosing (time to be determined). 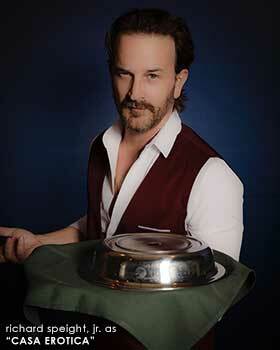 There is limited space, so don’t miss out on a chance to dine with David! NOTE: You will be contacted via email prior to the event to make your dinner selection. Washington D.C. 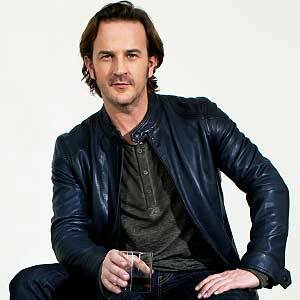 Bus Tour with Richard Speight, Jr.
What better way to check out the nation's capitol and all that it has to offer then on a bus tour with your host, Richard Speight, Jr.! It takes place on Thursday, October 31st, so look for a few Halloween extras! More details will be coming soon, so stay tuned. There are only 50 seats available for $349, so don't miss your chance to join in the fun by getting your tickets NOW! CAUTION! If you suffer from motion sickness, please take preventative measures prior to boarding the bus as we are not able to make special accommodations for those with motion sickness. Please note most tours do involve walking, so please be prepared. Staying on the bus is an option but not recommended. 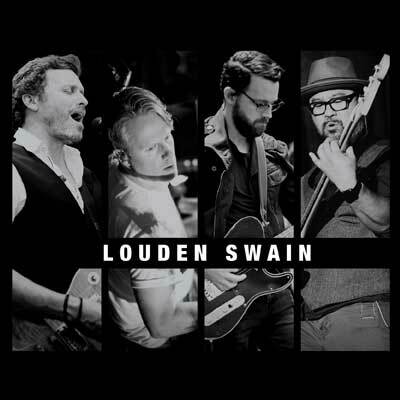 LOUDEN SWAIN is a central Official SUPERNATURAL CONVENTION attraction, performing on our stage! 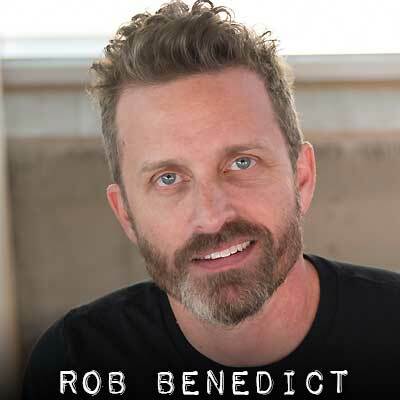 Lead by talented lead singer and Supernatural's own, ROB BENEDICT (“God”/“Chuck”), they will have our Washington D.C. audience rocking through the whole weekend! Come as you are (or want to be) Karaoke! We've been dressing up for years, so now we want to meet the real you, whether that's your everyday wear, or the wizard you are inside. 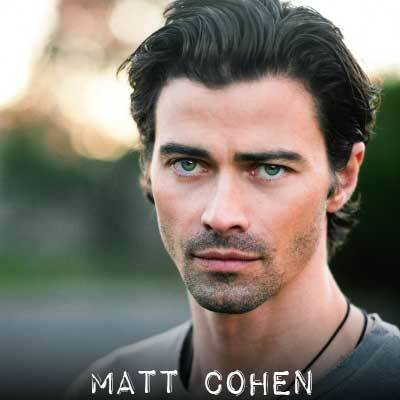 Join Karaoke King Matt Cohen and a roster of other stars, including Lisa Berry, Adam Fergus, Jeffrey Vincent Parise and David Haydn-Jones, in a high-energy night of celebrity/fan interaction! Admission is FREE! This is FREE EVENT, so you do not keep your same seats you had during the day, but there will be seats in the back if you prefer to sit. We are so proud to host this amazing night of music, which truly shows how multi-talented those Supernatural stars are! 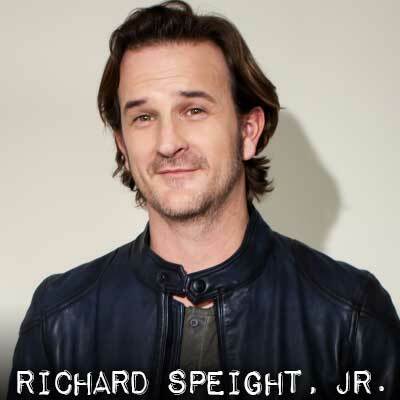 Along with Louden Swain, other celebrity guest performers include Richard Speight, Jr., Matt Cohen, Lisa Berry, Kim Rhodes, Briana Buckmaster, Ruth Connell, as well as members of the Creation crew! 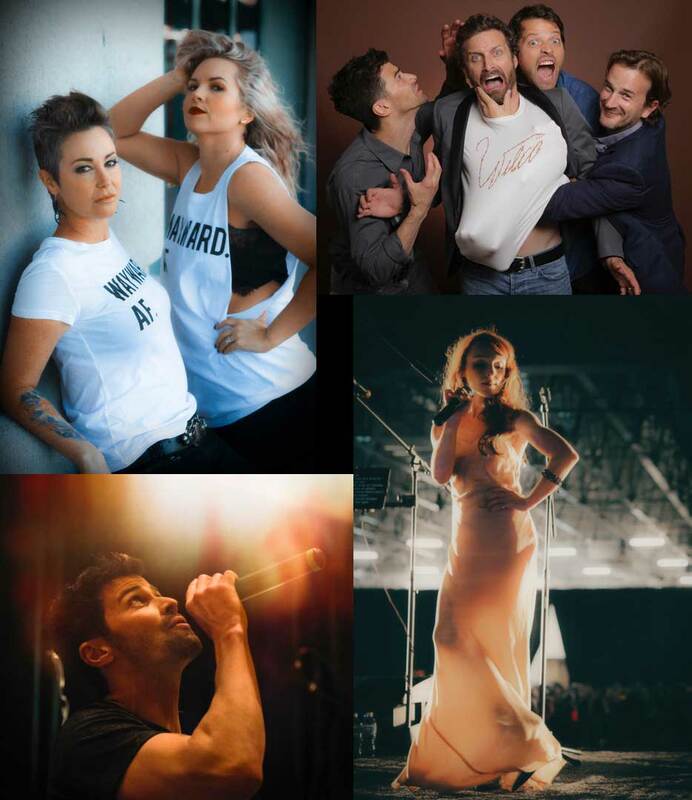 The concert is included in many of our amazing full convention weekend ticket packages and you keep your same seat if you have a Gold, Silver or Copper Package. If you don’t have a package ticket but still want to see the show, no worries! Tickets are only $95 and can be purchased on our website today or at the convention. Buy your tickets today and don't miss this once-in-a-lifetime concert! 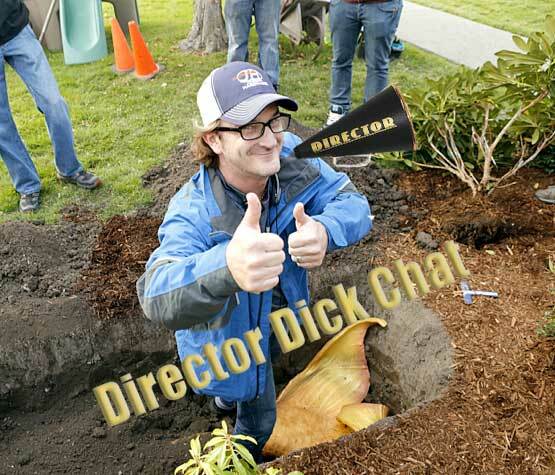 Are you a talented video editor? A walking encyclopedia of all the exciting moments from Supernatural who thinks, "These would be awesome set to music?" Here is your chance to flex your creative muscles, and fan knowledge, to compete for prizes at Supernatural Official Convention! • All submissions must be on DVD and in a sleeve or jewel case to be accepted. -ONLY NTSC FORMATED DVDs WILL BE ACCEPTED OR. 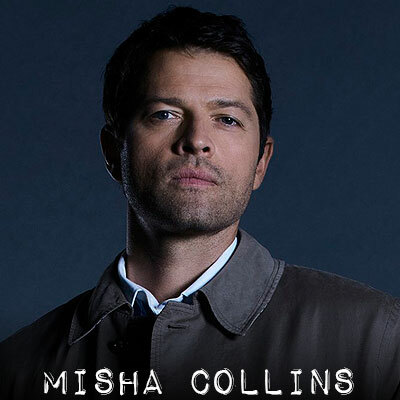 SUPERNATURAL Music Video Contest/WASHINGTON D.C.
Show your creative talents, and impeccable taste in characters, by entering our famous Cosplay Contest! Held on SATURDAY, come dressed as any Supernatural character (or create your own) and compete for the audience's applause to win great prizes! Who wouldn't want a nifty Gift Certificate good for Creation merchandise and the adoration of the audience? Note: Gift certificate are good for one year towards Creation Merchandise Only, and excludes convention, autograph and photo-op tickets. 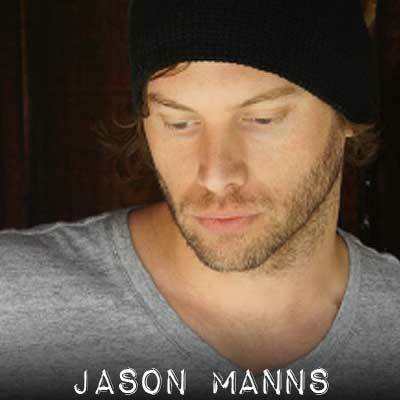 Singer/songwriter Jason Manns is offering a chance to meet him in a more intimate setting, as he answers questions -- and even performs a few songs! 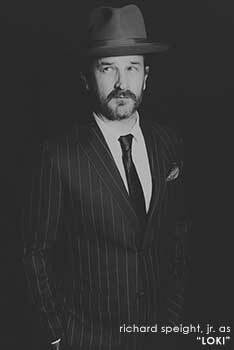 Although his Mann's Cave is sold out on FRIDAY, due to popular demand, there will be an additional opportunity on SATURDAY to meet Jason! Price is $150 and limited to just 10 people, so act fast and get your tickets now! PLEASE NOTE THAT THESE CONVENTIONS ARE INTENDED FOR ADULTS IN TERMS OF SOME OF THE ON-STAGE APPEARANCES OF OUR GUESTS WHICH OFTEN INCLUDE SOMEWHAT OFF-COLOR HUMOR AND/OR PROFANITY. CHILDREN ARE WELCOME IF ACCOMPANIED BY AN ADULT WHO IS AWARE OF THE CONTENT OF SOME OF THE STAGE MATERIAL. This is one of your ONLY chances to get in-person autographs from Jensen Ackles & Jared Padalecki for the entire weekend! They will only be signing in person for Gold & Silver ticket holders. 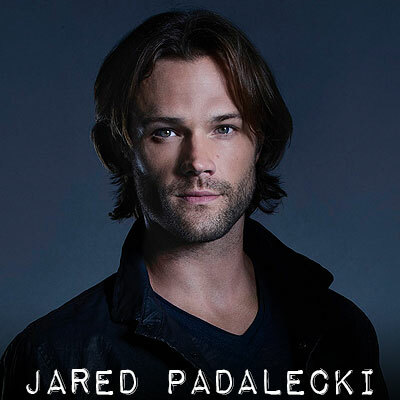 In addition to Jensen and Jared, you get in-person autographs from fan favorites Misha Collins, Lisa Berry, Adam Fergus, Jeffrey Vincent Parise, and David Haydn-Jones. You are among the first rows for all autograph signings included in this package! Now you'll spend less time in line, and more time enjoying the show. We call autographs included in this package row by row, so Gold definitely does have its benefits! Special collectible badge and wristband only for Gold package holders! These keepsakes will always remind you of the amazing time we hope we deliver for you! 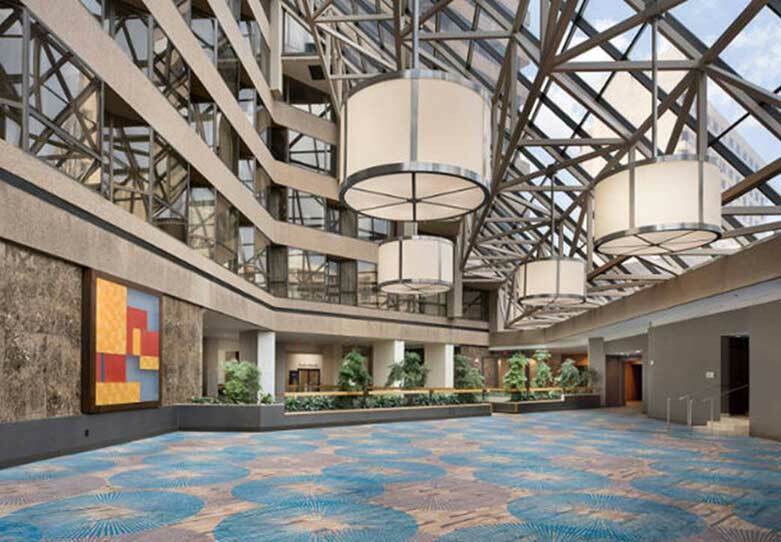 You can renew/purchase the same exact seat, or try for a better one, at the following year's convention in WASHINGTON D.C. area (if applicable). Just visit the Registration area at the convention for more details. 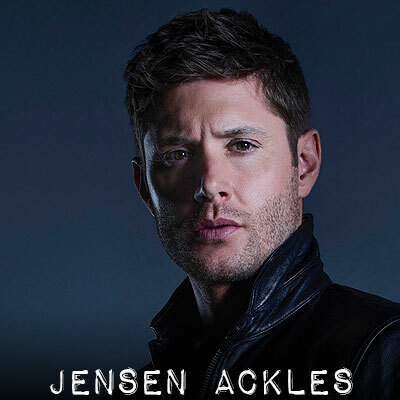 SILVER PACKAGES are one of the quickest selling ticket options we generally offer particularly because of the great benefits included and of course it is the only other way, besides the Gold Package, to get in-person autographs from our two superstar headliners, Jensen, Jared (or J&J as most fans call them)! You pick your own seats in the main theatre, so you won’t miss a single cherished moment. Here’s what you get when you go SILVER! Reserve your seat in our main theater for the entire event! Silver Package Holders choose their seats while ordering packages on line, ensuring the best available, views of the stage, at the time of purchase. While the special half-hour Gold only Panel with Jared and Jensen is NOT INCLUDED in Silver Weekend Packages, the guys will appear for the entire audience, including YOU, on Sunday as well. This seat is yours for the whole three days, free from wandering seat-stealing monsters, no salt circle necessary! Besides the Gold package, this is one of your ONLY chances to get in-person autographs from Jensen Ackles & Jared Padalecki. Because of the limited time available, the boys will only be signing in person for Gold & Silver ticket holders. In addition to Jensen and Jared, you get in-person autographs from fan favorites Misha Collins, Lisa Berry and Jeffrey Vincent Parise. You are among the first rows for all autograph signings included in this package! Now you'll spend less time in line, and more time enjoying the show. We generally call autographs included in this package row by row, so “going Silver” definitely does have its benefits! Silver gives you priority registration before other guests (our Gold Patrons do go first)! Get early dibs on merchandise, as the vendors room is open for this special preview night to those whose ticket packages allow for participation, and any remaining autograph or photo op tickets! 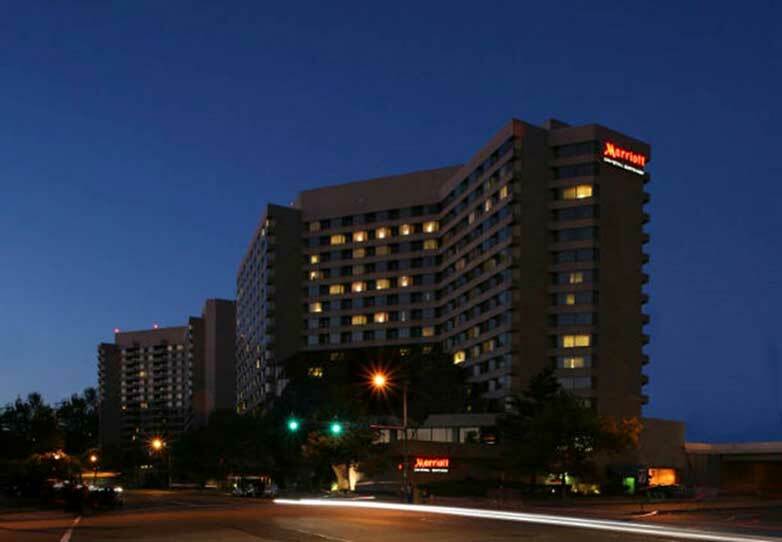 Pre-registration takes place the night before the convention starts and while it’s not mandatory, it is a convenience that can help make your weekend be as smooth as possible. We also love it because it gives us all time to meet up with convention friends -- and new ones, too -- without worrying about missing any guests on stage, or events like autographs or photo ops. In fact, it is great to get your registration done so you are all set for the weekend! You’ll receive a special badge and lanyard that allows you Silver access for the entire weekend -- and you can also keep as a cool memento of the convention! *Please note that if you have autographs as part of your ticket package benefits you will need to have something for the celebrities to sign. They will sign almost anything you bring from home and there is a wide assortment of photos and other collectibles on sale at the convention. THIS ADMISSION TICKET PACKAGE DOES NOT INCLUDE PHOTO OPS or the special GOLD only half-hour Jensen & Jared panel. 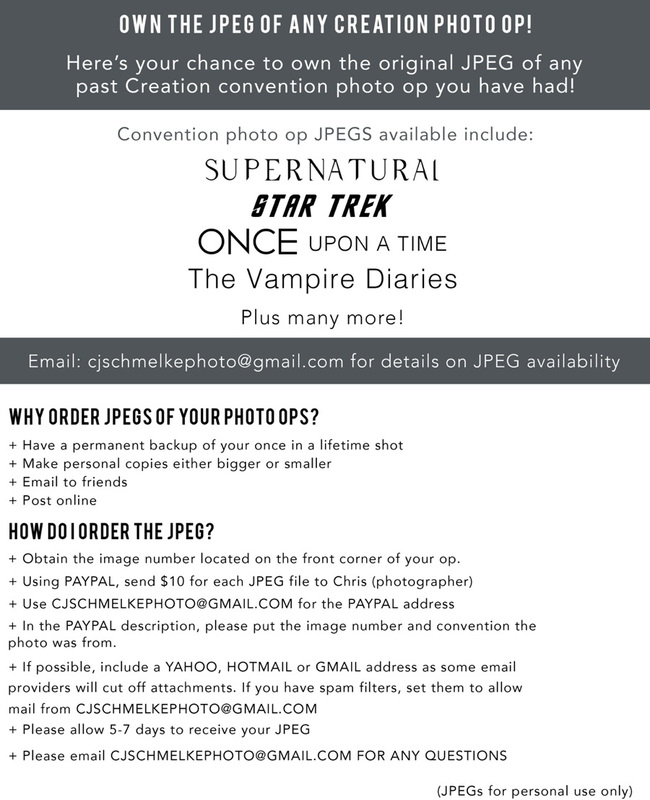 Photo Ops must be purchased separately below or at the convention (if not sold out). Thanks! 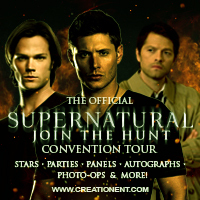 THIS ADMISSION TICKET PACKAGE DOES NOT INCLUDE PHOTO OPS, AUTOGRAPHS or the special GOLD only half-hour J&J panel. 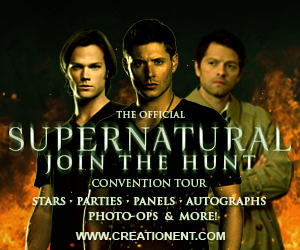 Photo Ops and autographs must be purchased separately below or at the convention (if not sold out). Thanks! This is the most economical way to attend all three days of the convention. You get a guaranteed seat in the theatre to see all the guests and events during the daytime (except the special Jensen & Jared Gold Only panel). You also get into the KARAOKE KINGS CONCERT (in general admission seating) and are able to purchase any autographs or photo ops that are available as well as, of course, gain access to the vendors area. You also get to participate in our pre-registration times. There are a limited number of GENERAL ADMISSION WEEKEND PACKAGES AVAILABLE, so please order soon! Note: THIS PACKAGE does not include the Saturday Night Special Concert or the exclusive Gold panel on Sunday. THIS ADMISSION TICKET PACKAGE DOES NOT INCLUDE AUTOGRAPHS or PHOTO OPS. 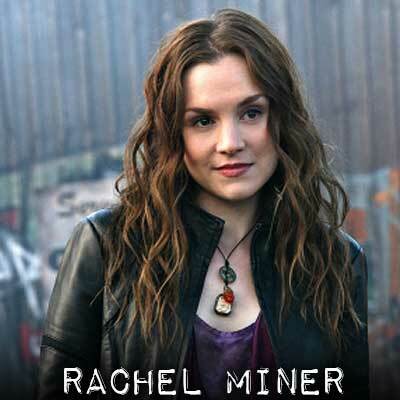 Photo Ops and Autographs must be purchased separately below or at the convention (if not sold out). It also does not include the Saturday Night Special concert or the exclusive Gold panel on Sunday. Thanks! This is the best way to attend any single day(s) of the convention. You get a reserved seat, yours to use throughout the day in the main theatre, where you will see all the stars and events of the day. You also have access to the vendors room and the Friday Night Karaoke Concert and also get to pick out your actual seat for the day(s) you are coming when you are ordering! These seats do not include the GOLD only 30-minute panel on Sunday, but Jensen and Jared will be appearing for everyone later in the day, so you won’t miss out! Please note that PREFERRED ADMISSION seating DOES NOT INCLUDE any AUTOGRAPHS, PHOTO OPS or the SATURDAY NIGHT SPECIAL. Those can be purchased separately on the site if available. It also does not include the special half-hour GOLD panel on Sunday. Here's the most economical way to get a ticket to any single day(s) of the convention, so NOW is the time to make your plans! 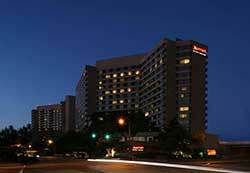 We guarantee you a general admission seat, and you will see all daytime celebrities and events. 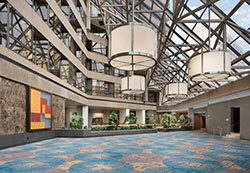 You also have access to the vendors room and the Friday Night Karaoke Kings Concert. These seats do not include admission the GOLD only 30-minute panel, but the stars will be appearing for everyone later in the day, so you won’t miss out! Please note that these seats DO NOT INCLUDE any AUTOGRAPHS, PHOTO OPS or the SATURDAY NIGHT SPECIAL. Those can be purchased separately on the site if available. It also does not include the special half-hour GOLD panel on Sunday. Jensen & Jared - Due time constraints, Jensen and Jared are ONLY doing in-person autographs for Gold and Silver Package Patrons only! 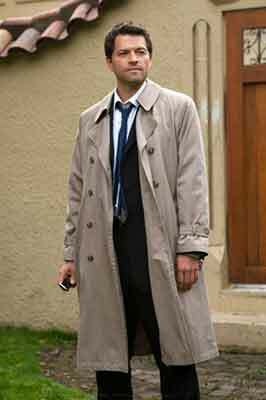 MISHA IN COSTUME AND CHARACTER AS "CASTIEL" TO HELP RAISE FUNDS FOR RANDOM ACTS! 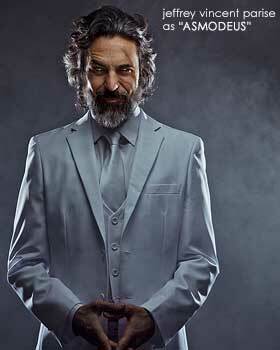 Only a limited number of CASTIEL PHOTO OPS are available at $169 each (SUNDAY ONLY). Because of the unique nature of these photo ops and the charity aspect we cannot upgrade or change Saturday photo ops with Misha. 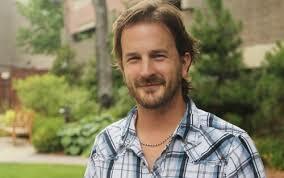 MORE SPECIAL PHOTO OPS TO BE ANNOUNCED TENTATIVELY AS WE GET CLOSER. Call 1-800-228-9290 *Available 11 months before. Or use web link: *Available 11 months before. Regarding the issue of alcoholic beverages at the convention: We do not allow alcohol to be present in our function rooms including the main theatre. This includes daily panel events and any night events. We kindly ask, for the evening event(s), you do not bring bags unless necessary. Water stations will be available in the room and, for those who have special medical needs, you can discreetly discuss those with security before entering and we will do bag checks. We regret that we've had to take this measure, but we must protect our audience and celebrities and we’ve been advised that this is a necessity. We reserve the right to deny entrance into any of the events to anyone who appears intoxicated. ADA Rules on service animals: This event welcomes service animals as per ADA rules. Service animals perform valuable work or tasks and are trained to provide help directly related to a person's disability. Dogs whose sole function is to provide comfort or emotional support do not qualify as service animals under the ADA and therefore are not permitted at our event. For those attending our conventions and making travel plans: Please know that the majority of guests that appear on stage do so usually in the later part of the day (although that is sometimes different for actors working on a current series). Autographing can run into the evening until 9:00pm-10:00pm. 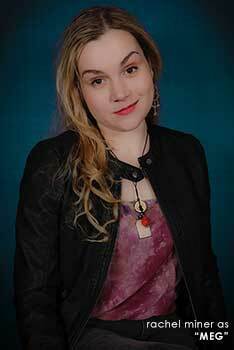 Because we have to wait for our celebrity guests to give us their flight information, we cannot tell you in advance when these autograph sessions will occur until the convention schedule is posted at this website on the Wednesday before the event. For those out of towners who want to receive autographs of the stars appearing on Sunday, we do suggest staying over until Monday or plan for a later leaving time. PLEASE BE CAREFUL! We suggest buying tickets only from the original source: through this website. Because all tickets are scanned for use at the convention we can ONLY allow the first person in using each singular ticket. Autograph and photo op tickets are also scanned for one-time use. WE’VE NOTICED A PICKUP IN BOGUS TICKETS and well-meaning fans being ripped off by those that have resold duplicate tickets. 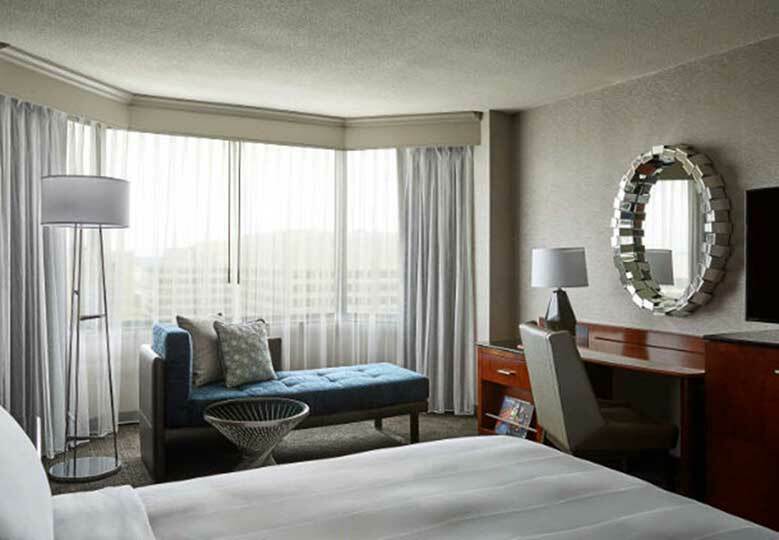 ALL GUESTS are contracted to appear and all convention contracts specify that appearances are tentative and subject to change as film and television work demands take precedence as can a personal conflict. Our events will take place whether a specific guest cancels or not (we always try to book replacements) and therefore we cannot issue admission ticket or ticket package refunds if a particular guest is not able to attend.. Of course, we will always refund or issue a credit voucher for separately purchased photo ops and autograph tickets for a specific guest if they cancel. PHOTO TAKING POLICY AT THIS CONVENTION We know that taking photos makes the convention even more fun and we thought it would be a good idea to share our photo taking policies for you before you arrive at the convention so you can prepare. In the auditorium, photo taking is encouraged, but only from your seat. It is unfair to run up to the stage and block the view of others who have paid for reserved seats in front of you. Even if there are empty seats, patrons must sit in the seats they paid for to be fair to everyone. Due to fire marshall regulations, everyone must be seated during performances. Please also be courteous to your neighbors when taking pictures. Photo taking is not allowed during autographing sessions nor during the photo ops. Only those people who have autograph tickets may come up to get autographs. The vast majority of our guest celebrities take questions from the audience during their on-stage time. Therefore it is incumbent upon those who ask questions to make them ones that allow our mutual shared time with the celebrities to be enjoyable, interesting and entertaining for all (including the guest). Asking for hugs, telling stars we love them (we all do, that's why we're here! ), giving gifts, getting into long personal stories, or asking trivial and/or silly questions, is not acceptable for this format. When you are asking a question, you are representing all of fandom to a celebrity, so please respect your fellow fans and the celebrity. Join us in trying to make this convention the best entertainment for everyone! Advance ticket sales are generally turned off a few days before the Event. Any available tickets will sold at the convention. We are not responsible for orders that are rejected during processing that may be due to customer errors (usually caused by not completing the entire ordering process to the very end), credit card failures (usually caused when there is not enough funds in an account or the credit card company rejects the charge for any number of reasons including out of state ordering or unfamiliar ordering to the customers’ general pattern), or system errors during transmission of the order. NOTE: ADMISSION TICKETS ARE NON-REFUNDABLE AND NON-EXCHANGEABLE. AUDIO OR VIDEO CAPTURE FOR PERSONAL USE IS ALLOWED EXCEPT IN CERTAIN CIRCUMSTANCES. LIVE STREAMING IS NOT ALLOWED AT ANY TIME. Photography and audio or video capture are for personal use only - public dissemination and commercial use strictly prohibited. By attending Creation events, you agree to allow your image to be used on our website and in news documentaries or stories, either filmed by Creation Entertainment or other entities. In the unlikely event of a cancellation of the convention, or a date change, Creation Entertainment is not responsible for refunding airfare or any other costs other than the payments made directly to Creation Entertainment for ticketing. 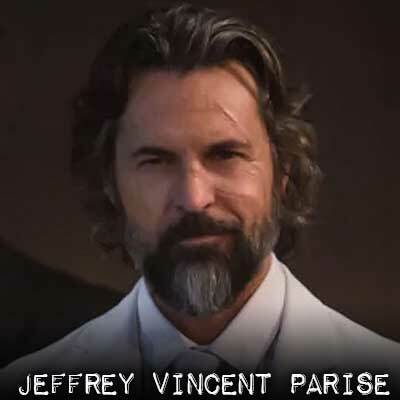 Also in the unlikely event, due to weather, transit issues or last minute illness or other reason given by celebrity, an advertised guest does not make their appearance at the convention, Creation Entertainment is not responsible for any refunds or credit vouchers other than separate specific to the guest autograph tickets or photo op tickets. In the extremely rare chance that a guest does not finish his or her autographs or photo ops (which has only happened in a hand full of cases over 40 plus years and was due to things out of our control), Creation Entertainment will only be responsible for the refund or credit voucher of the separate autograph or photo op ticket.